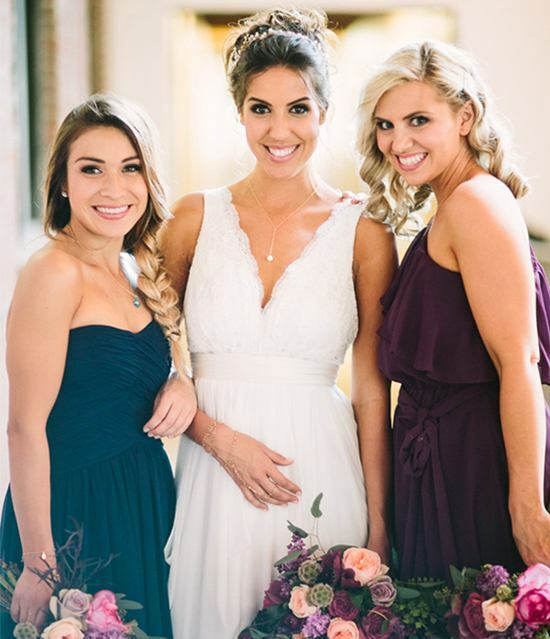 Learn how to find that perfect bridesmaid dress from Brideside in 4 easy steps! AND keep reading to learn how to save $50 off your dress. Step 2: Invite your girls and start saving favorites to your "closet"
Code will be sent through email. Offer not valid on Joanna August, Donna Morgan, or Jenny Yoo dresses. Not valid on accessories. Please contact your stylist to find out about discounts for these collections. 3 dresses sent to your home for $10. Multiple sizes to choose from for the top styles. Your mirrors, your lighting, your accessories and undergarments. And a return label is included. We even send a measuring tape and have a video on how to take your own measurements. Final dresses ship to each bridesmaid!